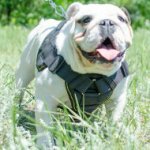 How to Choose a Dog Harness for Bulldog? 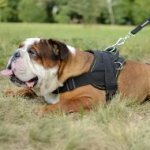 Sometimes it is not easy to choose a harness for your Bulldog because of their great variety at dog market. If you are caught between leather and nylon harness, this article will help to make your choice. It is better to get the harness with Y-shaped chest plate. The very shape of the plate keeps with anatomical structure of the dog. 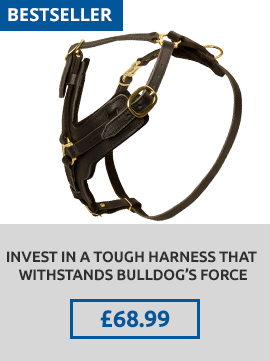 Such a harness will fit Bulldog perfectly and its neck will be free of loads. 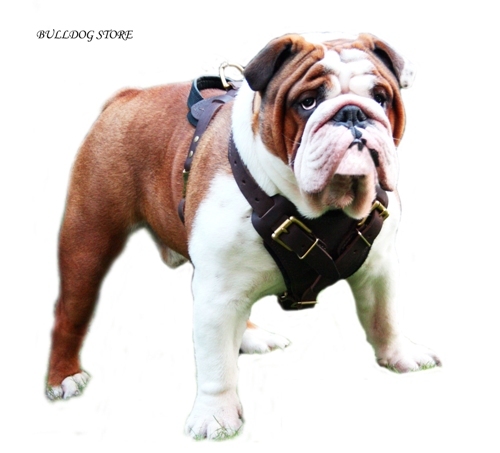 This leather harness has wide breast plate that protects dog's chest from excessive loads, eases restriction of training loads and gives the highest comfort to Bulldog. Soft felt lining on the chest plate prevents rubbing. Back plate and front straps are also lined with felt to make this harness maximum cozy. Rough materials aren't suitable for high-quality harnesses. That is why we use genuine leather, which is strong and wearproof, but soft and smooth to the touch. It won't irritate dog's skin or damage coat. All the edges are rounded and waxed. Leather straps are wide and firm. They are easily regulated with the help of buckles. You can always fit the harness when needed. 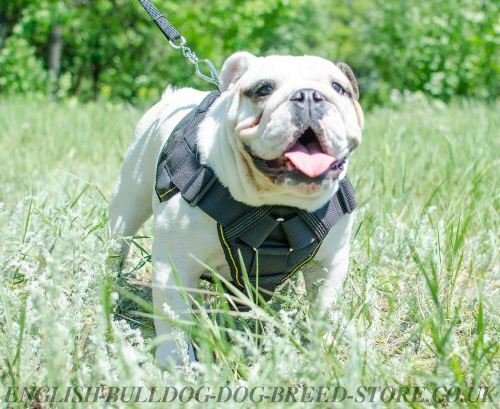 The harness is put on Bulldog in the handiest way with quick-release buckle. It will not take long to prepare the dog for going out. All the fittings of this harness are welded. They are sound and rustproof. A leash is attached to the D-ring on the back plate. The ring is suitable for all types of snap hooks. The harness is intended for medium and large Bulldogs. It is used for attack, agitation, protection work. The harness is also perfect for service dogs. 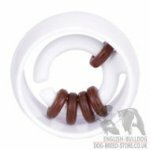 Moreover, it is widely used for Bulldog training and everyday walking because it gives reliable control over the dog. 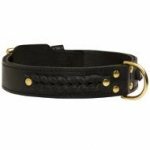 The harness goes in black and brown colors and can be produced with a handle. 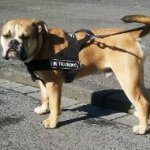 Our nylon harness for Bulldog is top-quality equipment for various activities of your Bulldog. It is a multipurpose outfit for all-weather use. The harness is a great control tool for walking, training and tracking. 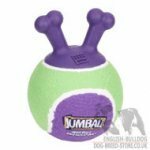 It is used by special units for working dogs and also for weight pulling. 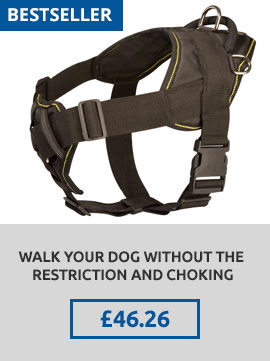 Such a wide range of usage makes this harness an indispensible accessory for everyday life of the dog. Broad chest plate has a cushion-like design to provide supreme comfort. Neither rubbing, nor cutting into the dog's skin will disturb your Bulldog during training and work. The dog's breast is fully protected from overloads and Bulldog feels comfortable with the harness. There is also wide and soft back plate that acts in the same way as the breast plate. A handle for additional Bulldog control and a D-ring for leash attachment are placed on the back plate. The handle is reliable and convenient to hold. Any leash is attached easily to the D-ring. There are also 2 side D-rings for pulling activity. All the rings are welded, corrosion-resistant and won't break under loads. The harness has a smart system of size regulation: on the chest at both sides, under belly and on the left side. Your Bulldog will get into the harness in a few seconds. 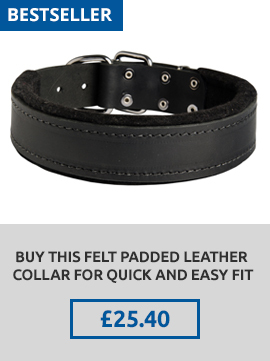 One click of quick-release buckle and the dog is ready to go outside! Nylon is the material that is resistant to stretch and water. It is of light weight and you dog can be harnessed all the day long and be comfortable with it. The harness is easy to clean and maintain. It is produced in black color and in several sizes. 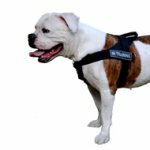 Small, medium and large Bulldogs can wear this harness.